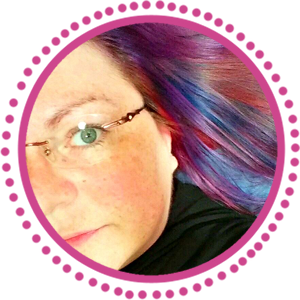 Are you up for a new blog hop? 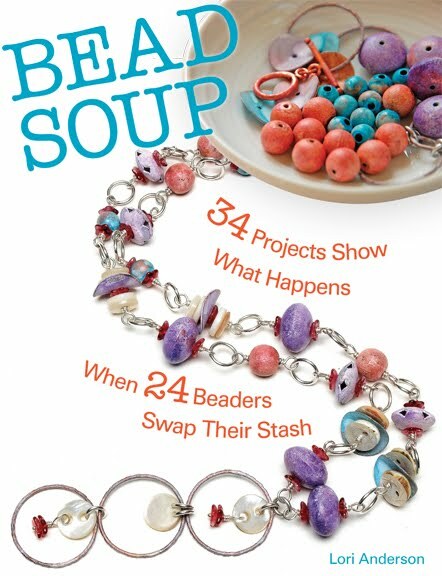 If you're familiar with my Bead Soup Blog Party, then let me assure you -- this one is tons easier. All you have to do is make ONE bracelet. You even get to make it with beads from your own stash! Interested? To join the hop, you need to make ONE bracelet in an adult size in a denim/blue jeans-inspired theme. Basically, any blue bead will do! The bracelets will be sent to The Global Genes Project, an advocacy group who launched "7000 Bracelets for Hope", a children's rare disease campaign. The bracelets are given to one of 7000 families having children with rare diseases to show them love and support. 1) Email me at lori at lorianderson dot net and provide your name and blog address. I'll email you back with information on where to send your bracelet after the hop is over. SIGN UPS END midnight Tuesday April 5th. 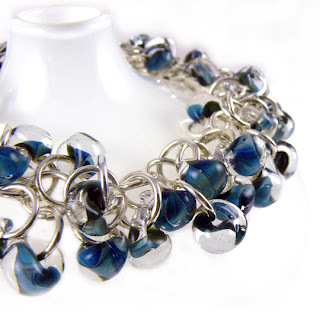 2) Make a blue bracelet in an adult size (anywhere between 6" to 8.5"). 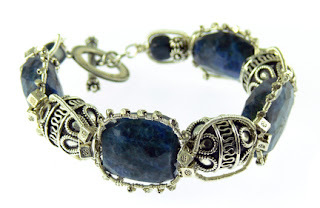 3) Post your bracelet on your blog on Saturday, April 16th for the official blog hop. 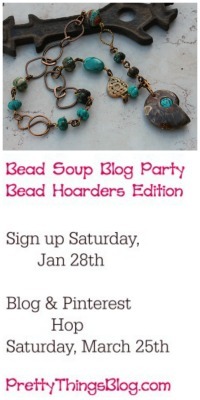 The blog hop list will appear below and on a special post on the 16th. Please feel free to grab the 7000 Bracelets of Hope logo for your blog, too! After the hop, mail your bracelets with a note of encouragement and feel all sorts of wonderful! 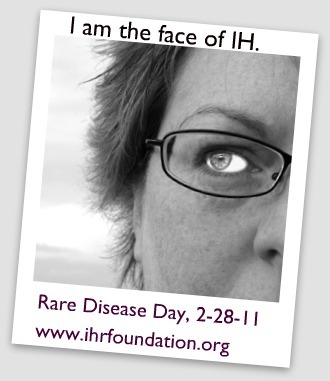 To learn more about this campaign, visit The Global Genes Project by clicking here. I've been meaning to do some of these bracelets, so count me in! This is wonderful Lori, you can count me in I'll email you. Thank you for being just who you are! Hugs! yes, count me in to! I'm totally on board - count me in! What a brilliant idea. Count me in! I'm sending you an email! Thanks for sharing this with us! Just shot you an email :) Love this!! I'm in. And if they do a 7000 Lanyards day, let me know! I wish I had time to do this! Too busy this week - but I'll hope on board next time if I can :) I think this is wonderful what your doing! FAB idea Lori - count me in! what are the chances you could push the sign up date out a little - I would love to write it up on my blog! What a fun idea. I'm in! I'm anxious to get started. This is a worthy cause! I've sent my email off to you! I read about this when Michelle Mach posted her donation, and the response from the woman she sent it to- great read if you haven't checked it out! Would love to participate, Lori...count me in. Will be sending you an email as well! What a fantastic idea! I saw a post about this a while back and think I misunderstood. I thought that the bracelets had to be made out of blue jeans. . .If it's just a BLUE bracelet that they need, totally count me in!! Count me in. Just put this up on my blog. Thanks for organizing this! Count me in! Mari from Puerto Rico. Count me in! I've posted this on my blog. I just signed on. I'm gonna grab the button for my blog right now. Thanks for organizing this, Lori. this sounds like a great cause ! I really want to participate!!! Love This! Please count me in! I will send an email. TY for offering us this opportunity to express our Love. Just wanted to give you a heads up that I responded on your loriandersondesigns@gmail.com address. Thank you. I must be getting tired :( Not sure if once I happily accepted this marvelous opportunity, if I infact published it. Count me In! Also, I sent you an email but to your gmail account. Thanks again. Signing on to participate just under the wire! I just sent you an email with all my info. Thanks! Sorry I missed this worthy cause. I was off RVing in beautiful Death Valley National Park and just returned. Oh, darn it - I was feeling optimistic about making more jewelry, so I followed your link today. One day too late. Argh. This sounds like a wonderful cause. My little boy's condition (juvenile diabetes) is well-known, not rare, but my family is so sympathetic to any child suffering from any disease. I made my bracelet and posted pic on my blog http://moneca-mrdesigns.blogspot.com I did not officially sign up by deadline time ~ can I still be included? Please let me know. Thanks to all of you for supporting our 7,000 Bracelets for Hope campaign! We really appreciate it and the families are loving the bracelets that have been coming in. Thank you so much to Lori for setting up this amazing blog hop and for the incredible response from all of you! Thanks Lori, I am getting started late, sick wife. 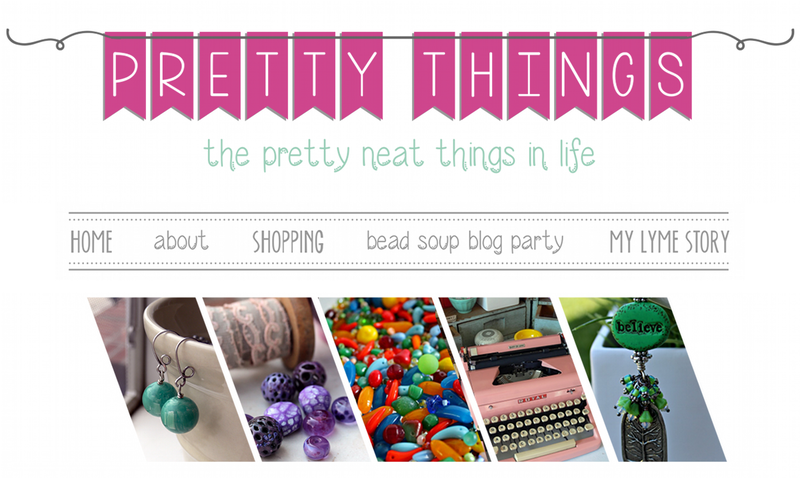 I have just officially posted my BLOG HOP entry with the list. Love your bracelet, and Zack. I have a grandson with the same name. Hi Lori, Hope you are feeling better every minute. Guess what - I finished the bracelet. So I am part of this great project too. A bit late, but better late than never! All of us at Global Genes Project would like to thank those who participated. This is amazing. The families are so appreciative. Please don't stop - this campaign is running all year - imagine what we could accomplish if each of you created your own blog hop! Thank you we are so grateful! Wow ! I love the bracelet. It look very elegant and the designs...so nice. I hope to see more gorgeous designs bracelet here. Congrats! This such a great post! Awesome! Yes! I have to make one. Just one bracelet! Gorgeous style. Those are cute and it get my attraction looking forward to have one. Hello Lori. Your collections are so pretty and good.I am getting some idea by saw these.Thanks.